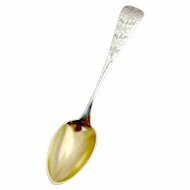 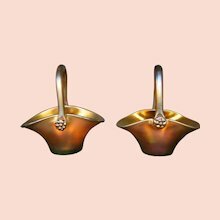 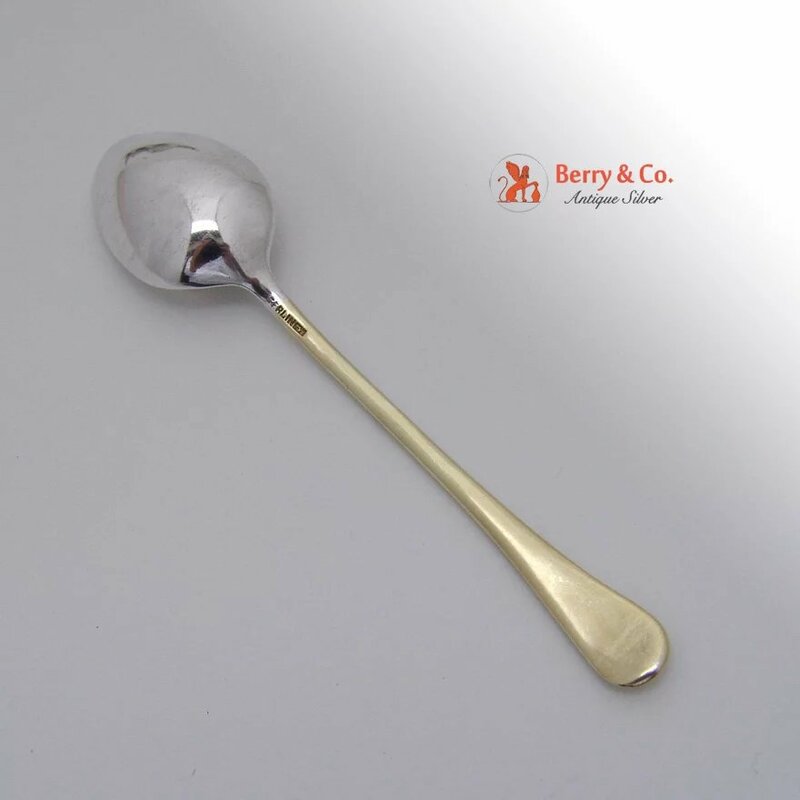 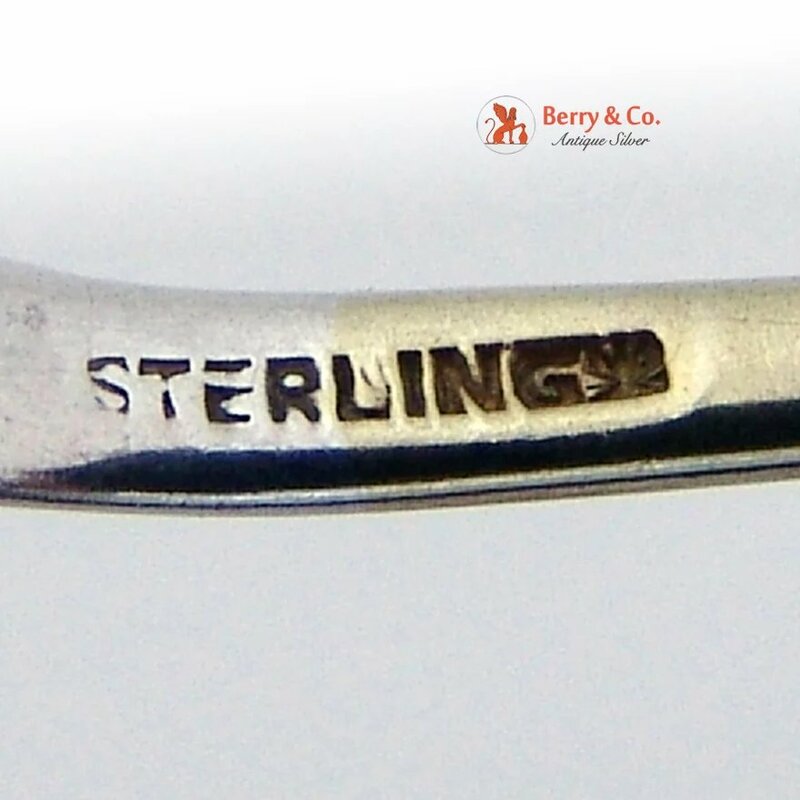 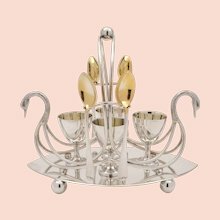 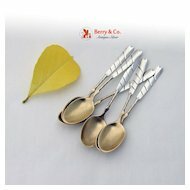 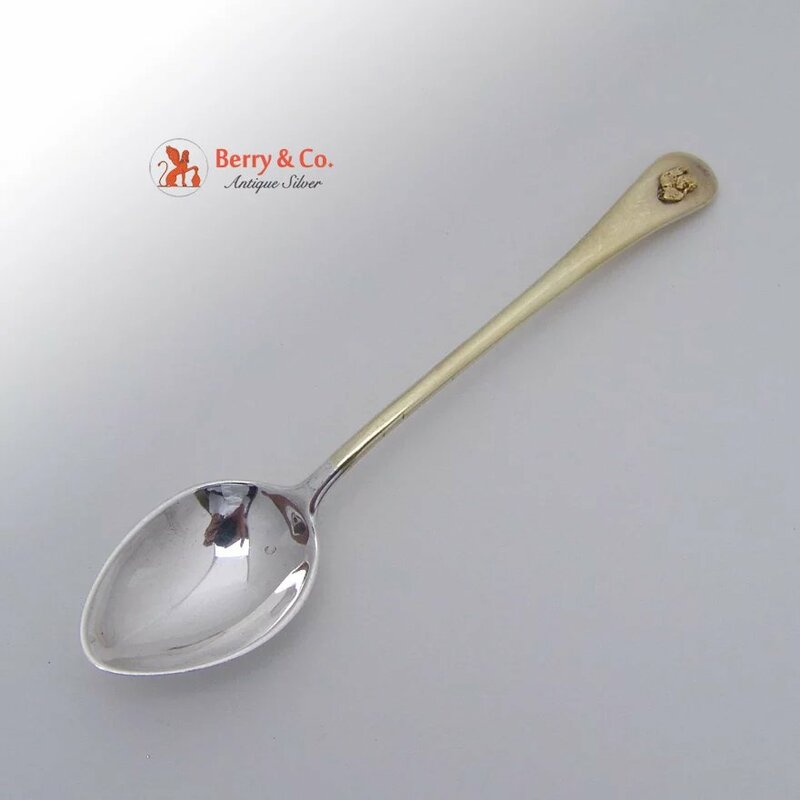 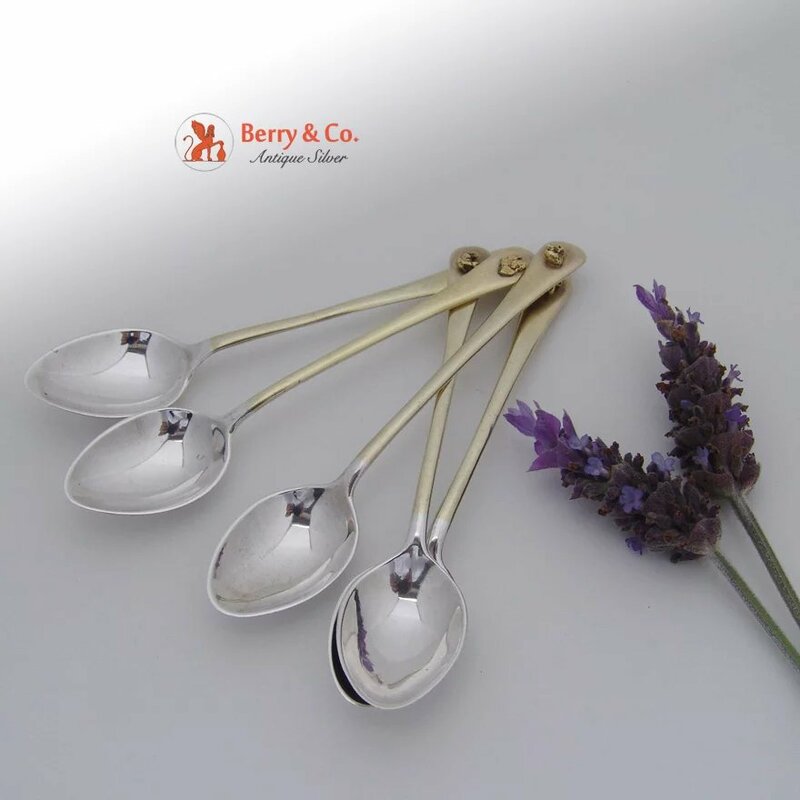 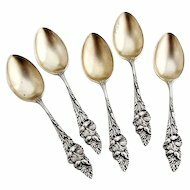 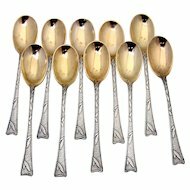 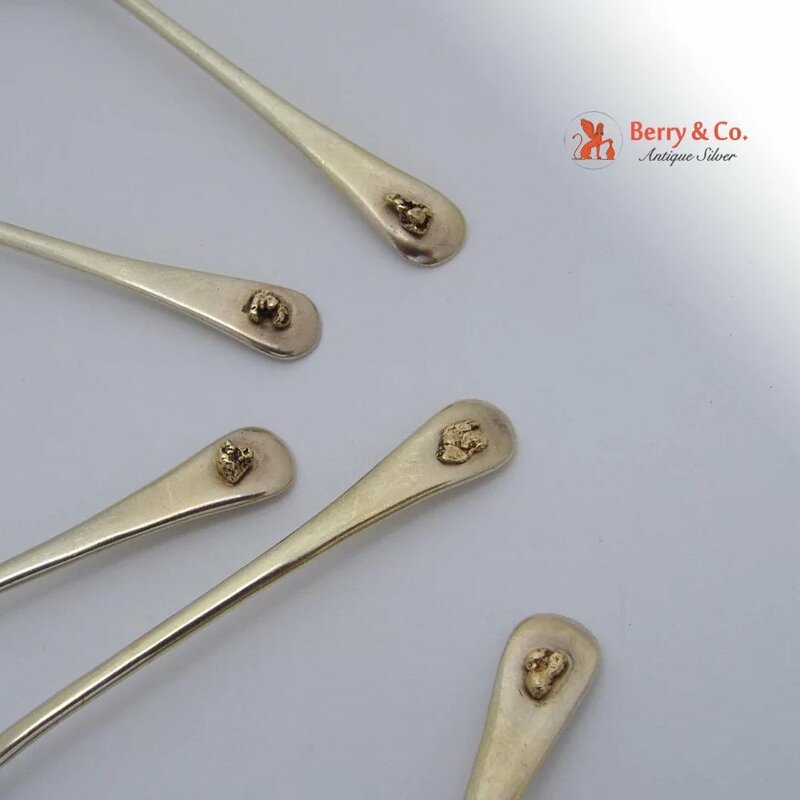 American sterling silver, gilt handle demitasse spoons, 5, each having an applied natural gold nugget on the handle, c.1900. 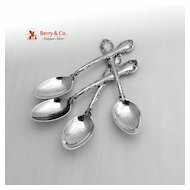 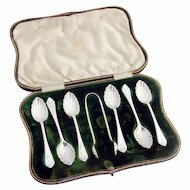 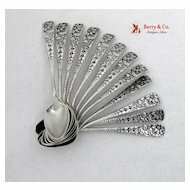 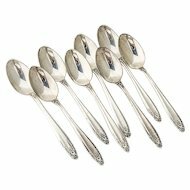 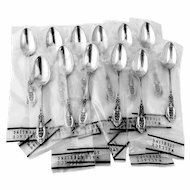 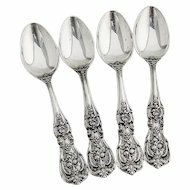 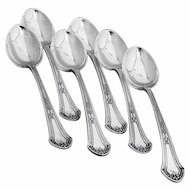 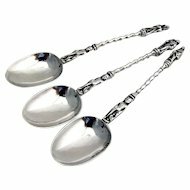 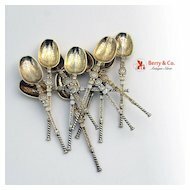 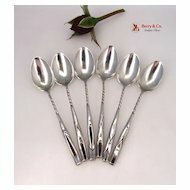 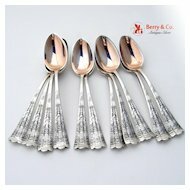 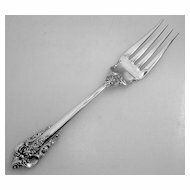 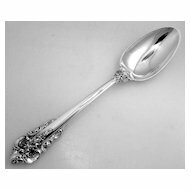 Each of these desirable and scarce spoons is 4 1/4" long, with the 5 weighing a total of 64 grams or 2 ozs. Troy. 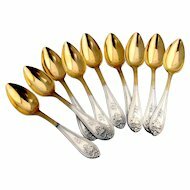 The price is for 5 spoons.